Achieving ISO 9000 is just a start and serves as foundation for conituous process improvement. 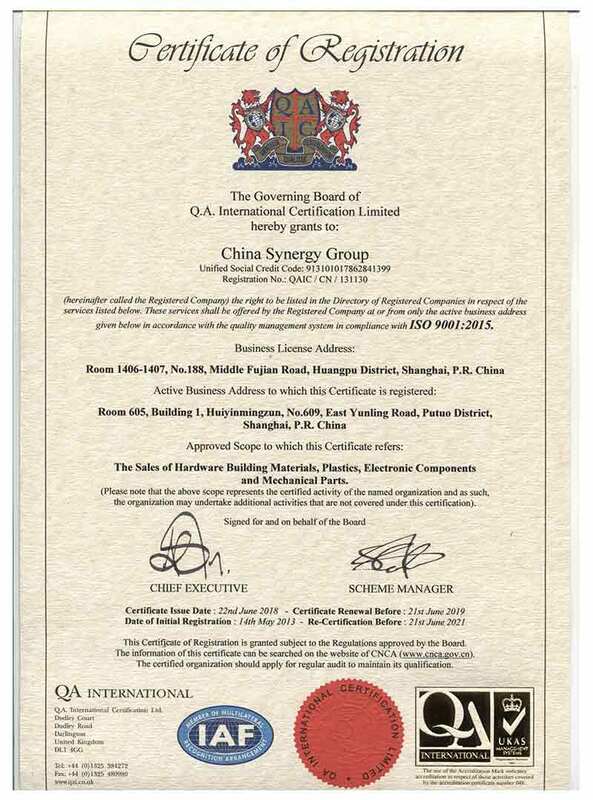 At China Synergy Manfacturing Group, we have installed process management for all key operations for consistency, traceability, speed, accuracy and control. We provide weekly trainings (case studies) to all our purchasing staff to reinforce quality mentality and share experiences. These efforts ultimately benefit our customers with better product quality and service.